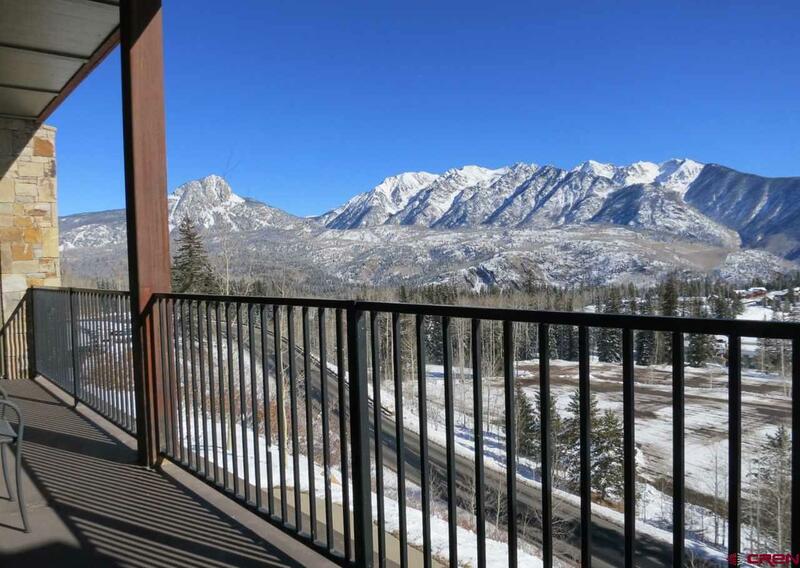 BEAUTIFUL CORNER LOCATION RESORT CONDO WITH SIMPLY THE BEST VIEWS ANYWHERE ON THE MOUNTAIN!!! 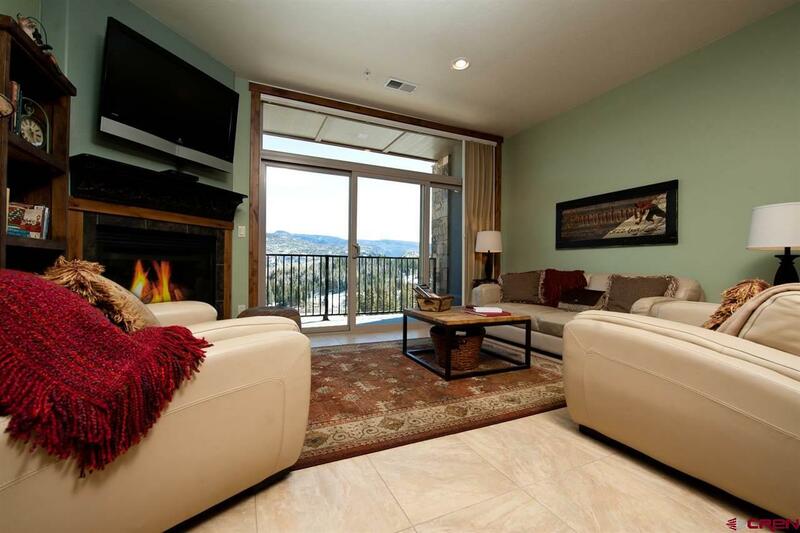 This wonderful 3 bedroom, 2 bathroom condo in the heart of the base village of Purgatoy Resort truly has it all. A very open floorplan with a huge deck, high ceilings, huge windows, solid wood doors and trim, two gas fireplaces, private laundry room, granite counters, stainless steel appliances, lots of storage, heated underground parking, enormous storage closet, etc. All of this and it comes fully furnished right down to the soup spoons. 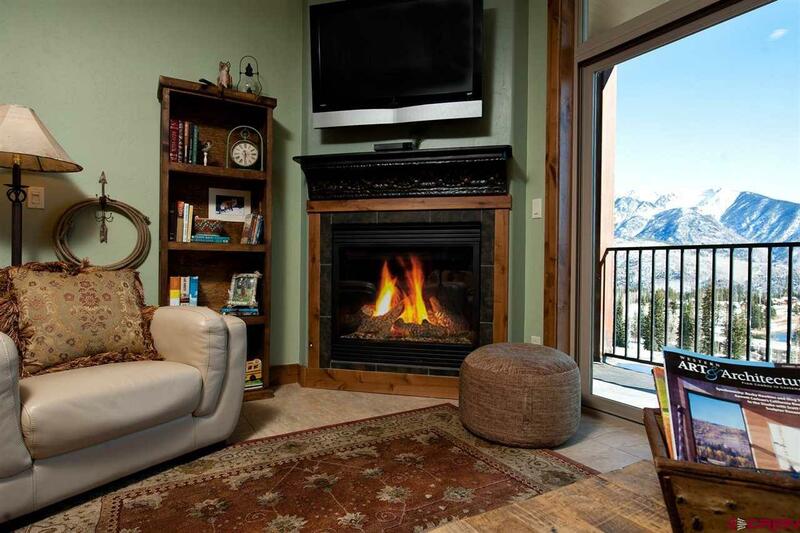 You'll never tire of the amazing views overlooking Twilight Lake and the Needles mountains, especially at the end of the day when you're relaxing in front of the fire with your favorite glass of wine or beverage of choice as the Alpenglow settles on to the peaks. 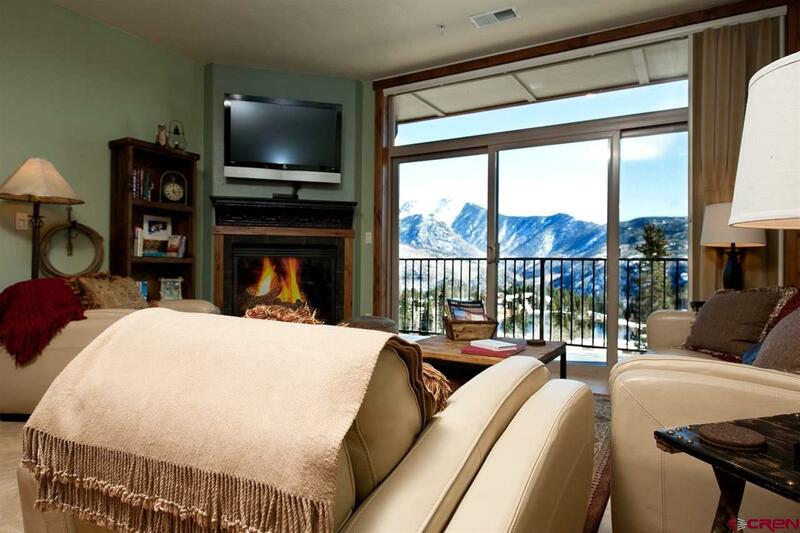 This is the most coveted view you can get here at the resort! As an owner here you will also enjoy full access to all the resort amenities including: pool and hot tub; fitness area; spa; private owners lounge and bar; game room; tennis courts as well as discounts to all the shops and restaurants managed by the resort. The annual fee this property is currently paying for the master association is approximately $1023. HOA includes all of the following: Exterior maintenance and insurance; common area maintenance, insurance & utilities; water; sewer; trash; cable TV; high speed internet; basic phone; heated parking garage and building capital reserve. This data was last updated: 2019-04-18T09:56:26.09.